April 21st, 10:00 am. We hope you will join us! Our church is one of several Christian Science churches in the greater Portland, Oregon, area. 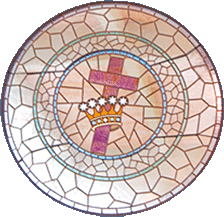 As a branch of The First Church of Christ, Scientist, in Boston, Massachusetts, we are part of a worldwide community of Christians dedicated to finding a deeper understanding of God, following the teachings of Jesus, and experiencing the healing presence of the Christ in daily life. We hope you'll join us for our Sunday morning services, where you'll hear a Bible Lesson-Sermon, and for our Wednesday evening testimony meetings, where members of the congregation share inspiration and healings accomplished through prayer.